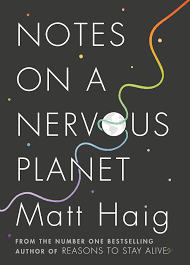 Author of fiction for adults and children, including last year’s How to Stop Time, and non-fiction, including the bestselling Reasons to Stay Alive, Matt Haig returns to St Andrews to celebrate the publication of his latest book, Notes on a Nervous Planet. Here, Matt looks at the fast-paced, nervous world around us, and the anxious, stressful lives it causes us to lead. Asking how we stay human in a technological age, Notes on a Nervous Planet is a study in how to live a vital, happy, and human life in the 21st Century. Matt is a vibrant and enchanting speaker, who is sure to delight.